Big Island police have arrested and charged a Kona man in connection with the theft of a car in May. The 1995 Honda Accord was stolen from a home in the Seaview subdivision in Kailua-Kona sometime between 6 p.m. May 14 and 6:30 a.m. May 15. Police recovered the Honda on May 15, after a South Kohala patrol officer made a traffic stop on the driver in Waimea. The driver fled the area on foot and was able to evade officers. 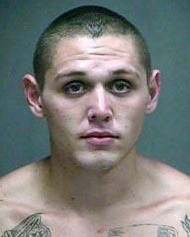 Weeks of investigation led to the identity of a suspect, 22-year-old Jesse Travis Ralston of Kailua-Kona. He was located and arrested at 7:45 p.m. Tuesday (July 17) in Kailua-Kona and held in the Kona police cellblock while detectives from the Area II Criminal Investigations Section continued the investigation. At 10:15 a.m. Thursday (July 19), detectives charged Ralston with unauthorized control of a propelled vehicle. He was released Thursday night after posting $2,000 bail.